Improve your quality of life, dramatically improve your chewing ability and regain your confidence in public with dental implants! If you are looking for a way to replace a missing tooth that is most similar to your natural one, an implant may be your solution. 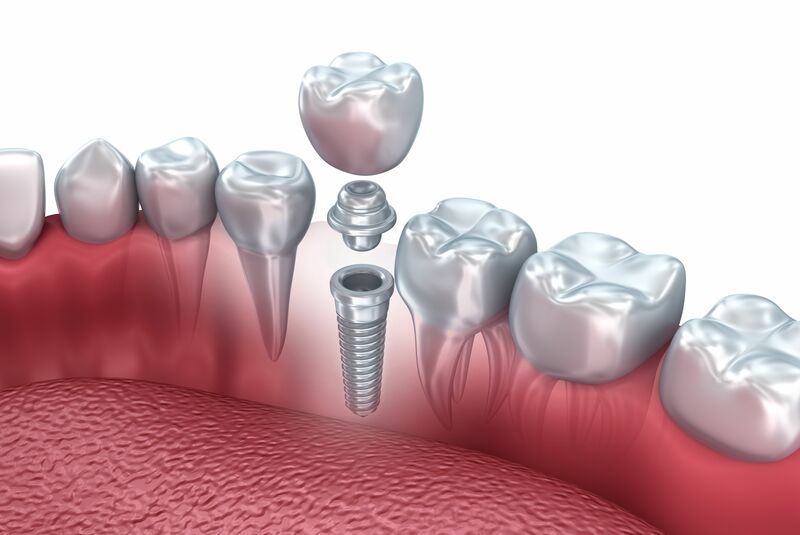 Dental implants are small, sturdy, titanium posts, which act as the root structure would for a natural tooth. A dental implant is placed into your upper or lower jaw bone. After the bone has grown around the implant, implants can hold a crown, a bridge, or an over-denture just like roots hold natural teeth in place. Implants are very durable and can last a lifetime! They require the same maintenance as natural teeth; this includes brushing, flossing and regular dental check-ups.